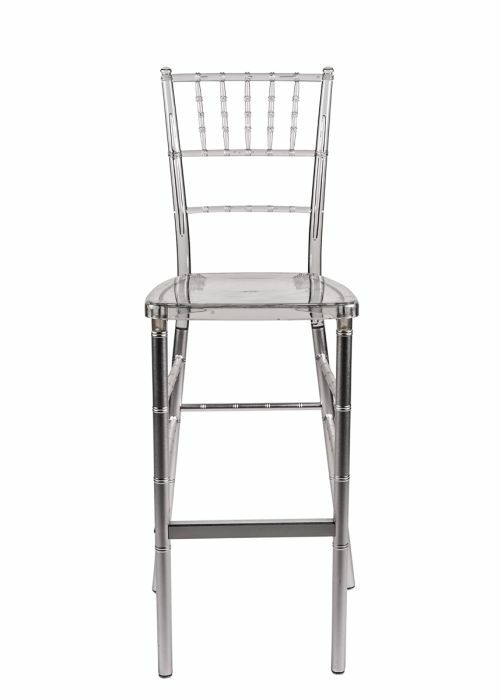 The Fusion Series™ Clear Resin and Aluminum Chiavari Barstool is the latest and most perfect entry to the event equipment industry. It is both beautiful and strong. 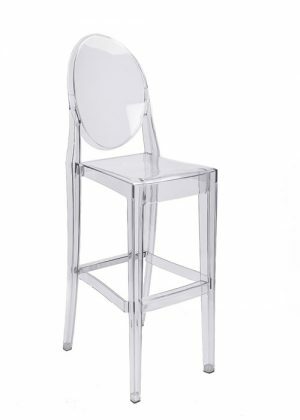 The aluminum legs provide the strength that previously a clear “resin-only” barstool could not provide. We have all wanted a resin barstool for years, but it could not be done until now. 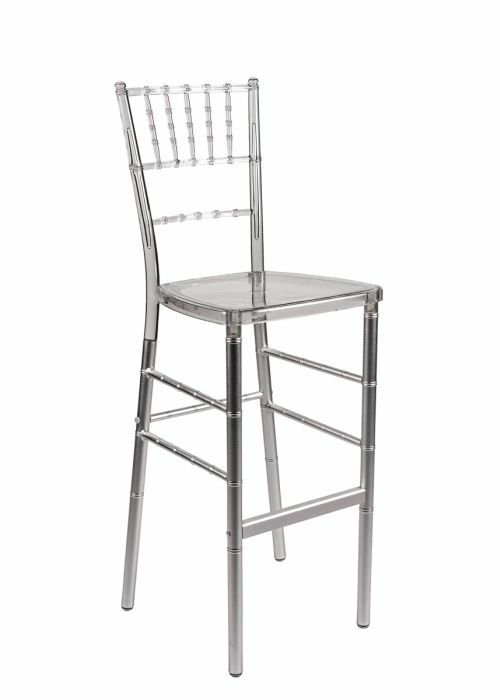 • The clear resin chiavari barstool has a uniquely colored aluminum leg structure. • The design allows the colors to blend for a single material appearance. • Chair frame is made of K-Resin (highest quality resin). • Seat is made of ultra-strong polycarbonate. 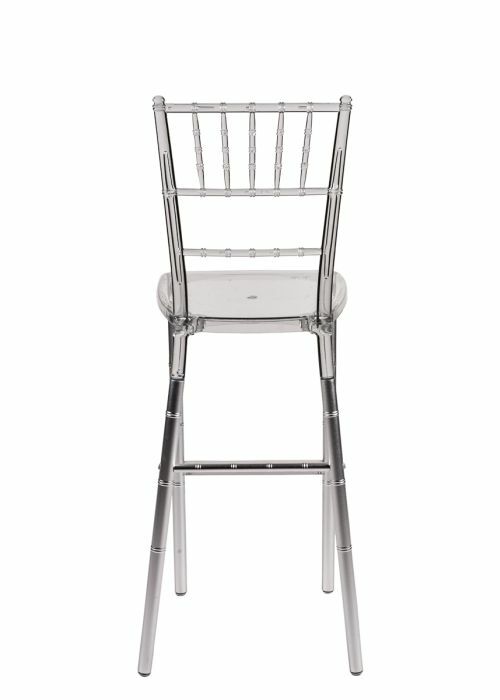 • The clear resin chiavari barstool has a non-stick, anti-static finish. • UV treated paint prevents fading and discoloration. • No sanding, repainting or staining needed. • Save time and money – reduced maintenance time. • Perfect for the indoor and outdoor events. • Stacks up to 6 high for enhanced space management. • Capacity (static vertical load): 250 lbs. • Ships unassembled for reduced freight costs. Assembly service available.